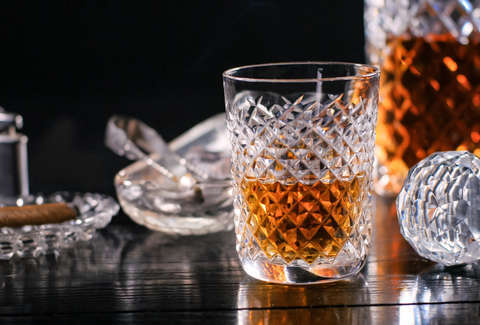 Contrary to popular belief, high-quality Scotch isn’t reserved for distinguished gentlemen in penguin suits and Italian leather shoes. If the following 12 stellar, inexpensive selections are any indication, rest assured that even hoodie-wearing schlubs like us can get in on the action, no expense account needed. Broke? Enjoy drinking excellent whisky? Well, a.) join the club and b.) do we have the fix for you! Grab your tumbler and ready your burn water, kids, we’re going in. Peat, peat, and more peat dominate this standby Islay single malt, intermingled with briny umami, fragrant barbecue smoke, black pepper, tobacco, and freshly poured asphalt (in a good way). On the lighter end you’ll find vanilla, stone fruit, salted caramel, and a bit of soft oak, like an autumn romp through the forest. It’s not for the faint of heart -- or the faint of palate -- but it’ll sure ward off that impending winter chill, if nothing else by putting a little hair on your chest. 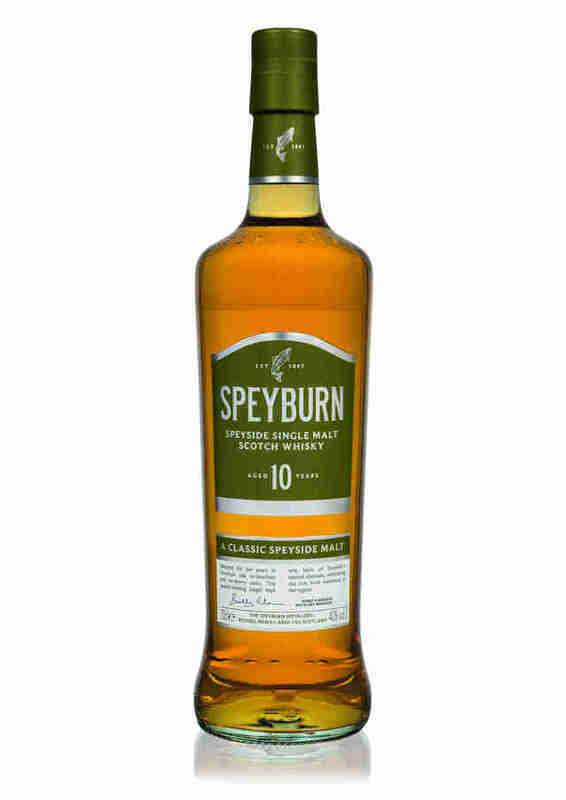 Speyside is known for its delicate, honey-driven single malts and BenRiach’s celebrated 10 Year Old expression is case and point. A lemony floral nose kicks off a medley of crisp green apple, peach, and banana, kept in check by sweet malt, earthy, vanilia-tinged oak and slightly peppery baking spices that linger long after you’ve drained your snifter. It smells like a garden in bloom, drinks like sun-brewed iced tea, and will leave you considerably weak in the knees. Aged in bourbon barrels and finished in Oloroso and Pedro Ximenez sherry casks, this 2015 expression represents the award-winning distillery’s first foray into the world of peat. But considering by its outstanding quality, excellent price point, and solid marks, we sure hope its not their last. Don’t get us wrong here -- this isn’t punch-you-in-the-face peat. Instead, the mild, cinnamon smoke char acts more like Beyonce’s backup dancers, a harmonious tableau supporting her eminence's flowery herbaceousness, cereal sugars, green apple, and pithy citrus notes with precision and grace. Or whatever. Don’t let the price tag fool you -- this guy’s more complex than the Saturday New York Times crossword. Smooth, nutty malt goes toe-to-toe with ripe lemons, peaches and pears, subtle nutmeg spice, cooling ginger and mint, and acacia honey, all sliding into a silky coconut and vanilla ice cream finish. Consider it dessert in a glass (but be sure to hold the jimmies). For $40 big ones, you’re looking at a fine sherry cask-aged single malt boasting honey-kissed, lightly toasted bread on nose, stone fruit, vanilla, and smoked wood chips on the palate and a dry, spiced licorice finish. 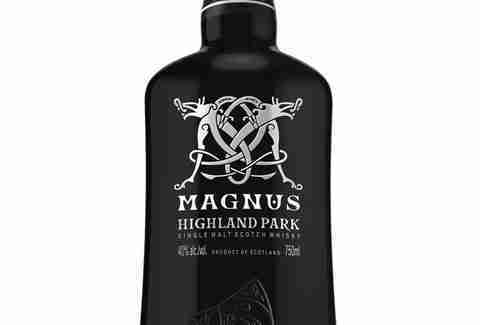 Bonus: It comes encased in an extra slick jet black bottle inspired by distillery founder Magnus Eunson’s Viking bootlegger ancestry. Because when it comes to badass booze lore, nobody beats the Scottish. How did Costco brand hooch make it onto this list? Because not only is it delicious, but you’re never, ever (ever) going to find a better deal on a genuine 18-year-old sherry-finished Scotch whisky. The trade-off, of course, is that they keep the exact distillery of origin a mystery (that and the whole having to get a Costco membership thing). But when it tastes this good -- fragrant leather, tree bark, and tobacco followed by figgy pudding, hazelnuts, boozy sherry, and what only can be described as those Chistmasy chocolate oranges that break into cute little slices when you smash them -- you don’t ask questions. Dubbed the world’s most-awarded single malt, you really can’t go wrong pouring a dram of this Speyside original. It’s the perfect entry whisky -- great for both selfless gifting and solo guzzling, especially for fans of orchard-fresh pears and apples, oatmeal raisin cookies, warm fruit cobbler, and whipped butterscotch mousse. So yeah, basically everyone. Any old fool can pick up a bottle of Johnnie Walker but it takes a real whisky aficionado (aka anyone reading this list) to suss out something as elegant, unique, and -- dare we say -- ridiculously underpriced, as this wine barrel-aged expression from blender Aimée Gibson. As light and refreshing as a bubbling Highlands brook, it’s all berries and blossoms up front tempered by a hint of tobacco, Heath bar, and crusty bread. It’s excellent for making highballs and convincing certain haters that they do, in fact, like brown liquor. This mellow peated blend has a silver medal from the 2018 World Whiskey Awards, 90 points from Wine Enthusiast, and 88 points from Whiskey Advocate. And if you’ve got $25 bucks to spare and a penchant for Juicy Fruit gum, plump apricots, orange pekoe, and creme brule against a pleasant smoky backdrop, it’s also got your name on it, pal. An easy-drinking, high-scoring Speyside single malt for $25? Sign us up. It doesn’t hurt that its particular combination of dried herbs, lemon, buttery shortbread, and marmalade notes is the spitting image of a proper Scottish high tea service… except 1,000 times more fun. If you ask me, this is hands down the tastiest single malt a lone Andrew Jackson can get you. The juice is matured entirely in ex-bourbon casks, with peppery oak, rich vanilla, and toasted nutmeg notes playing yin to the bright lemon and sweet honey’s yang. Apparently Bradan Orach is Gaelic for “golden salmon,” but don’t worry, we’re pretty sure it’s still vegan.